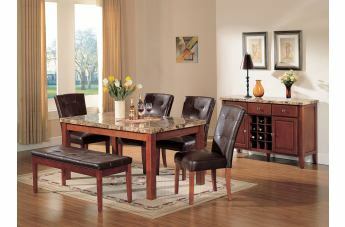 The Bologna Collection by Acme Furniture offers a versatile, stunning set of furniture that is perfect for any Decor. 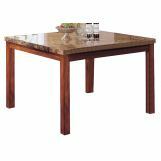 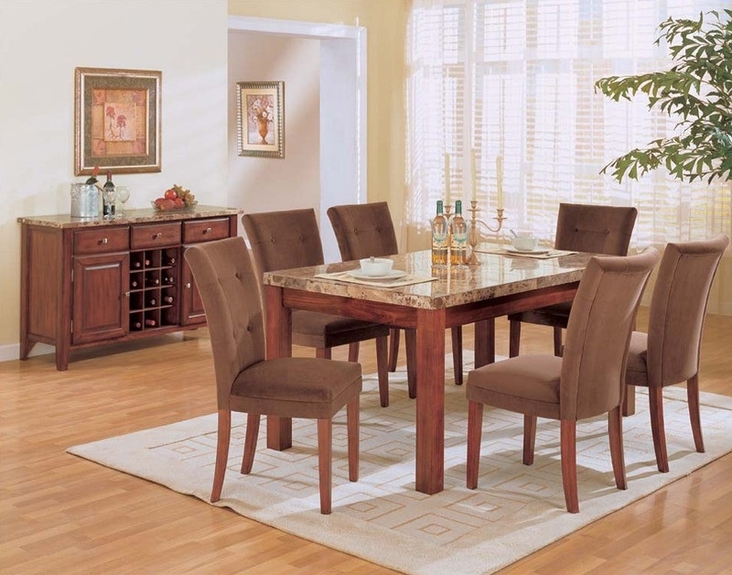 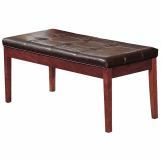 Give your dining room a distinguishing character with this rectangular faux marble top dining table. 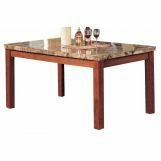 The faux marble and oak finish is a handsome color combination works with any room and is just as functional as it is stunning. 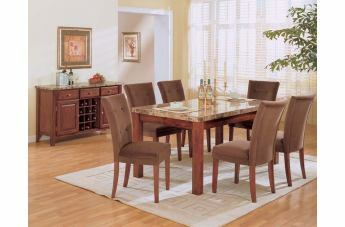 Acquire the look of marble without worrying about high cost and maintenance. 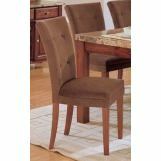 The Bologna Ultra Plush Side Chair is sure to be a delightful addition to any dining room atmosphere. 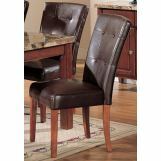 Features padded backs and seats for maximum comfort. 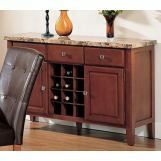 Beautifully designed for years of entertaining needs.